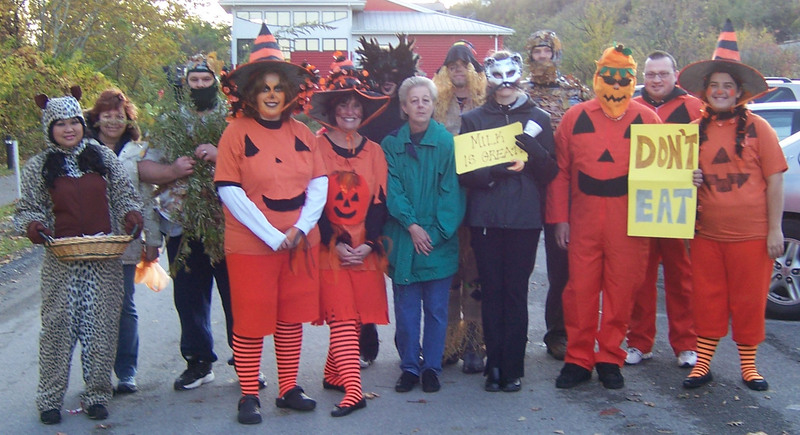 This past Saturday night our Millvale Neighborhood Group (Millvale Matters) continued their monthly outreaches/service projects in the community by partnering with the Millvale Borough Development Corporation in their annual Harvest Party. The group was in charge of the Story Walk, which as director Eddie Figas said, was the highlight of the night!! It was a great night where over 100 kids came through this story walk and our Millvale Matters group continued to make news in the community. In fact, check out this article in the Tribune Review! In addition to this great impact, the group has outgrown their current meeting location (Subway) and will be moving to the Millvale Community Center this Thursday. Praise God! Please continue to keep Millvale Matters in your prayers as they will be continuing the process to plant a church in August 2009.